By a vote of 6-2, the Phoenix City Council approved public funding for renovations to the Suns' arena and a lease that will keep them in town through 2037. The negotiations on the arena deal were short, shady, and resulted in the Suns getting one of the cushiest deals in recent times. And, because this is Phoenix, the final hearing also featured a bizarre appearance and speech at a man who shot a council person over a previous stage deal. We'll get to that. First, the details of the funding agreement – which were only publicly released in December, more than a week before the scheduled vote, before public pressure resulted in being pushed back a month. The city of Phoenix will pay $ 150 million for renovations to the arena, while the Suns will pay $ 80 million, plus cost overruns. The city will also pay an additional $ 25 million into a fund for future maintenance; the Suns will contribute $ 12.5 million. 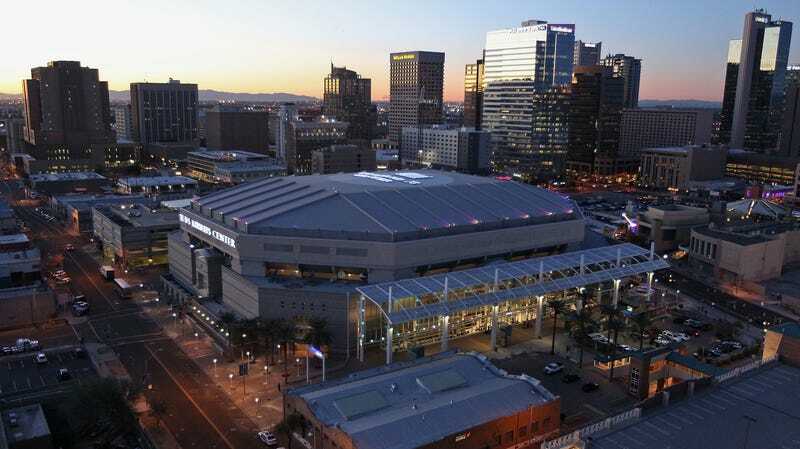 Phoenix is ​​covering 65 percent of the renovation costs, which, according to the Arizona Republic is the second-highest share of taxpayer money of the 14th arena deals reached the nation over the last five years . It is also one of the shortest deals in the country, extending the lease only in addition to 15 years. The city of Pheonix is ​​still paying off the debt on a loan it had to take to the initial cost of building the arena, which opened in 1992. While polls show that two-thirds of Phoenix residents canceled the renovation deal, most people who spoke before the vote were in favor of it. One exception was 90-year-old Greta Rogers, who dunked on Suns owner Robert Sarver at a previous hearing. Rogers again laughed at the idea that a 30-year-old building needs upgrades. "Three times that old and my facility's doing pretty well," Rogers said. Indeed, in 1997 Larry Naman shot Wilcox about her support of a tax to fund the Diamondbacks' stage. He was convicted of attempted murder and served 12 years of a 15-year sentence before being released in 2010. He told reporters yesterday no longer on parole, and doesn't own a gun, but also that he doesn't regret what he has did 22 years ago. In his speech before the city council, Naman called the funding of the Sun's renovation "an act of violence against the public."